fibre or disassemble unwanted apparel. also built a threat sensor to pass them data. 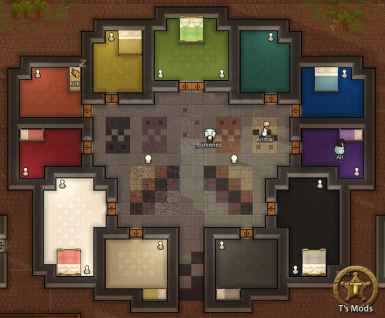 Adds five new bed colours for all bed sizes with tweaked graphics. 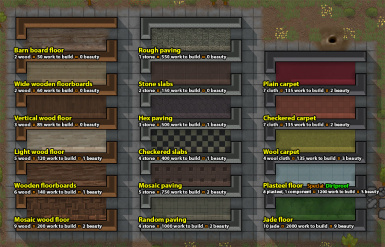 carpets, plasteel and jade floors, and straw flooring for that real barn feel. 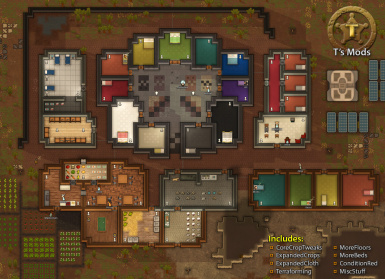 To install TMods, simply unzip the mod's zip file into your RimWorld "Mods"
the Mods button on the main menu and ticking the mods to enable. make sure you delete any old versions of TMods before extracting the new ones! installation will almost always cause errors. be happy to hear suggestions for improvements! * Revised all mods to use A17 patching - no more Core redefs! 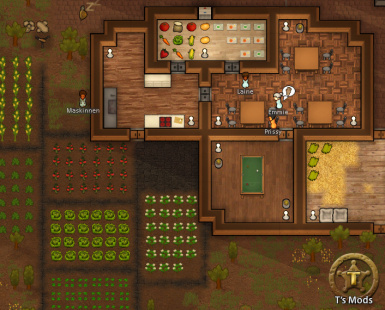 * ADD: Terraforming - it's back, now 42% less rubbish than before! Maybe!